"A stunning sounding system that is smooth, detailed and highly musical"
Over the last few years T+A have exploited their long experience and profound knowledge of digital signal processing in the development of fully-featured disc and multi-source players. 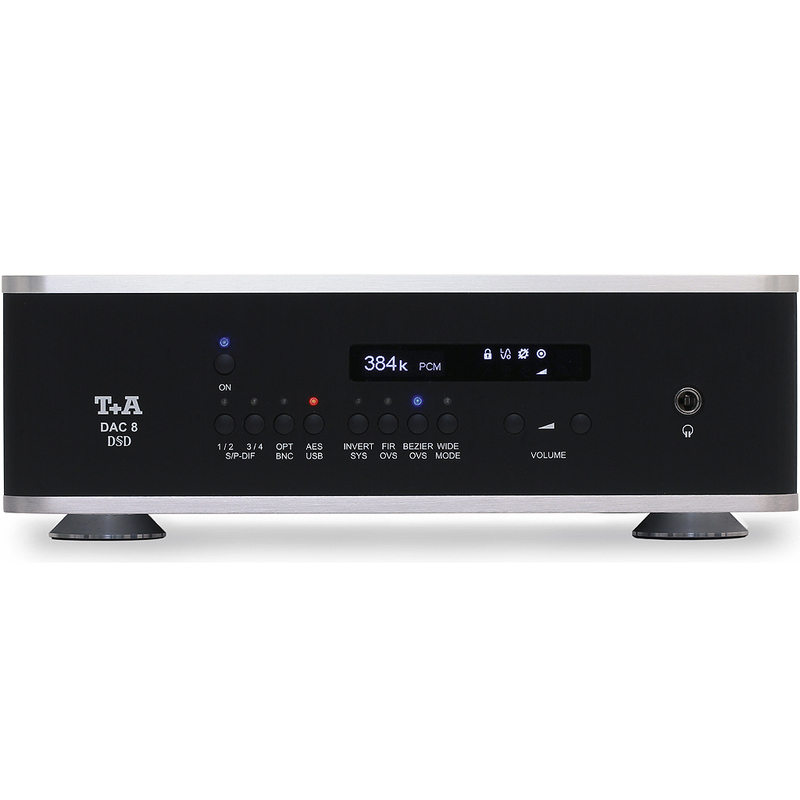 However, the DAC 8 is a device designed to operate purely as a converter and achieves its fantastic performance through the use of the very finest technologies and uncompromising design. 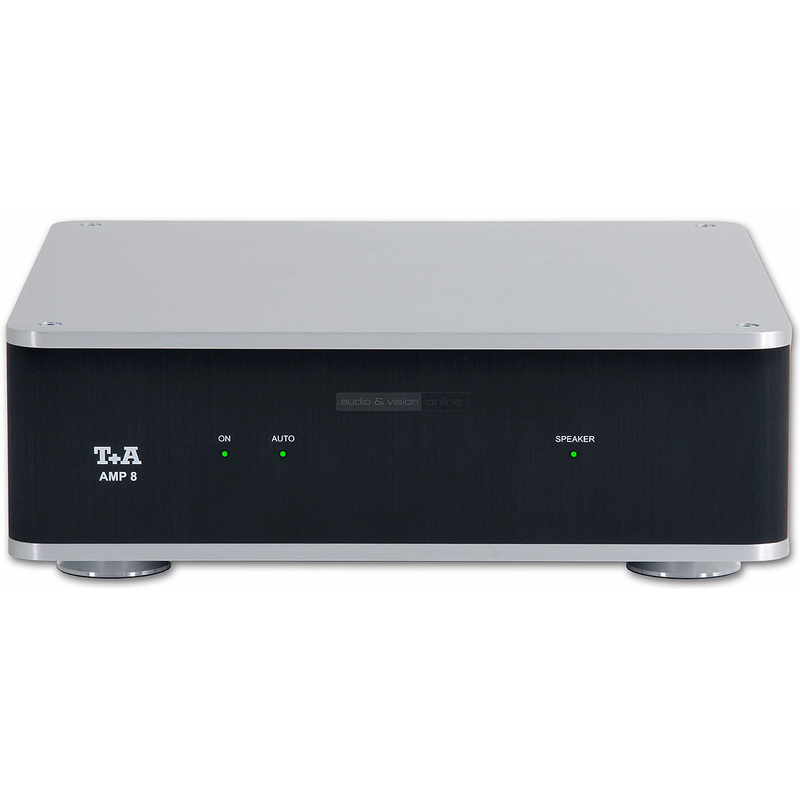 The DAC 8 is a D/A converter of very high quality build, using first-class components. The magazine reviews have been overwhelmingly superb. In reality it only lacks one factor to form a complete High-End system - a power amplifier of similar excellence. The overall circuit design of the AMP 8 is that of the sensational PA 3000 HV integrated amplifier, which is why the input stage and the voltage amplifier stage operate at much higher voltage potentials (HV - High Voltage concept). The input stage is a cross-coupled J-FET cascode amplifier, while the voltage amplifier stage is a single-ended Class-A Hawksford FET cascode. The output stage is responsible for current amplification, and is equipped with ThermalTrak™ high-performance audio transistors to ensure that the bias point is totally stable and free of inertia effects.